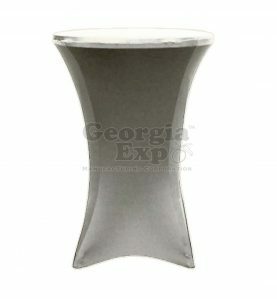 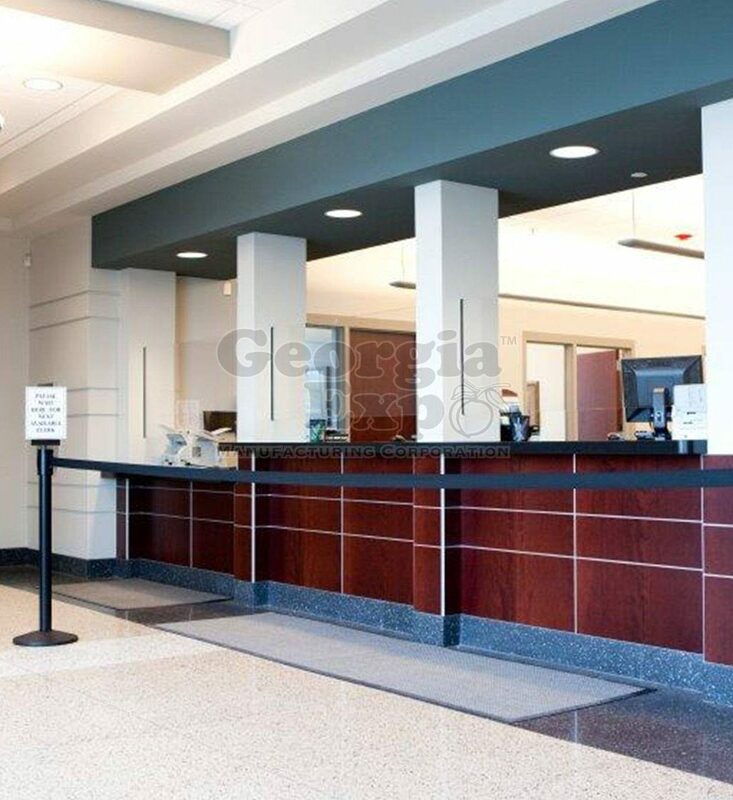 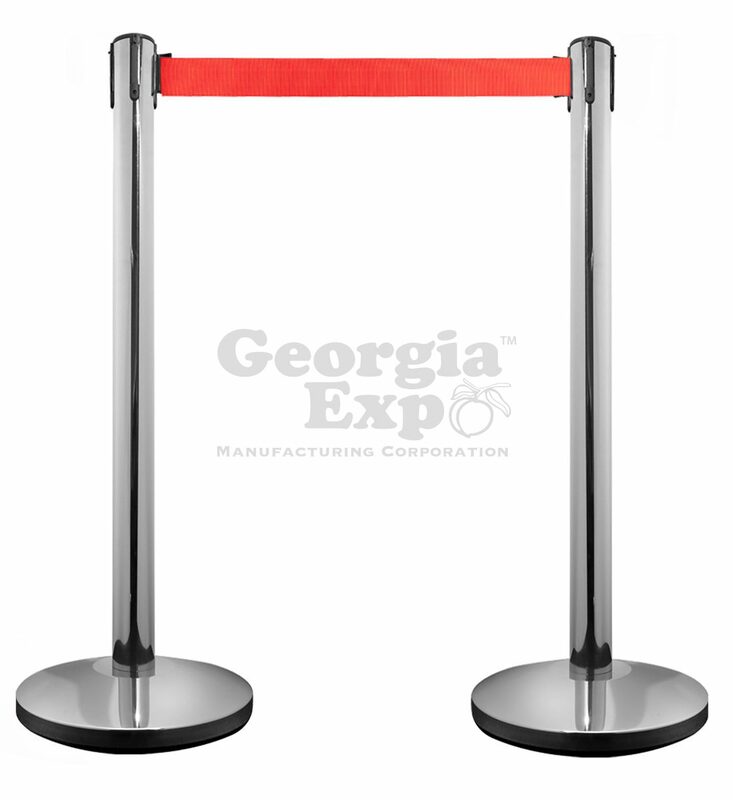 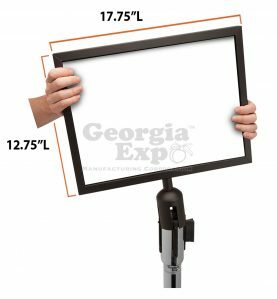 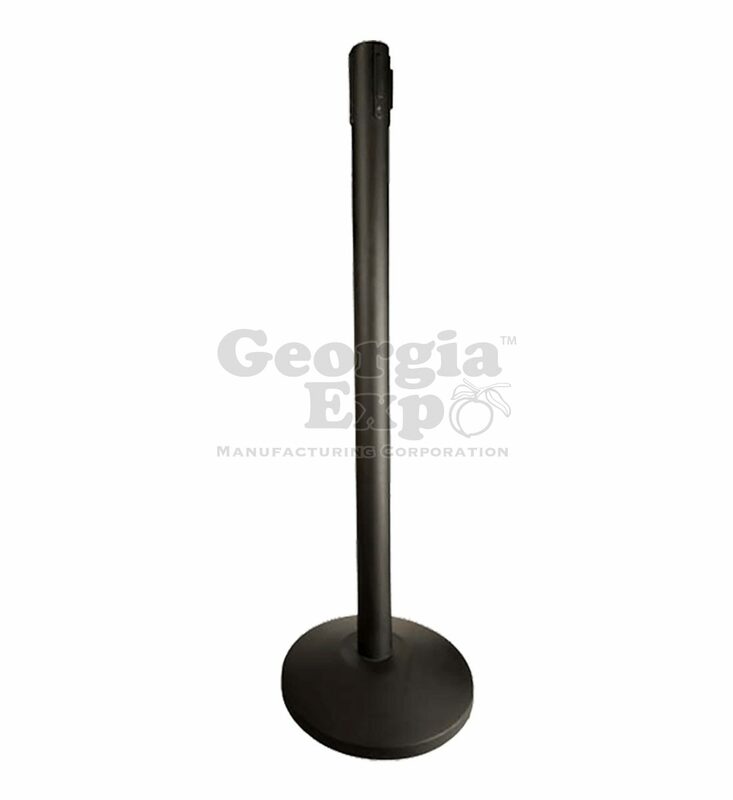 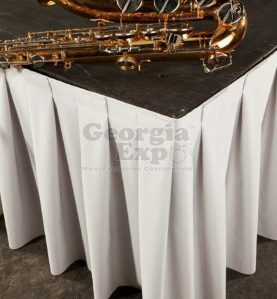 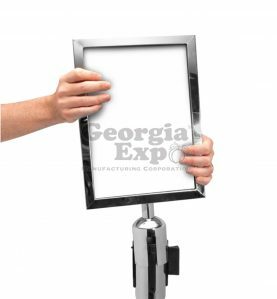 These stanchions feature a built-in retractable belt and look great almost anywhere. 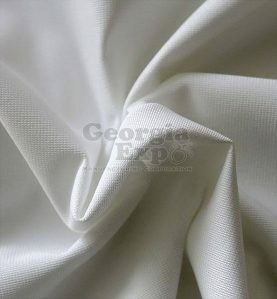 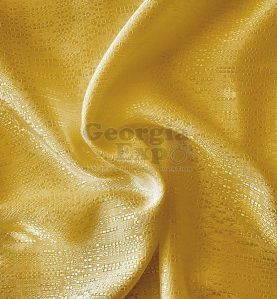 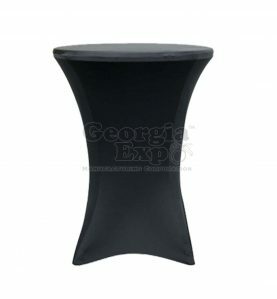 They are mainly used in banks, restaurants and movie theaters. 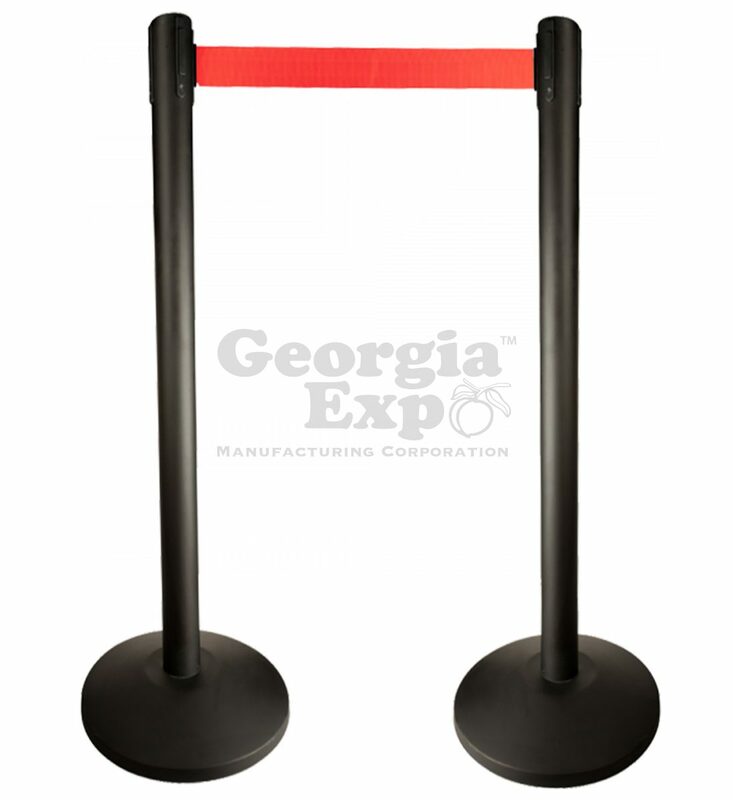 The belt comes in a choice of red or black. 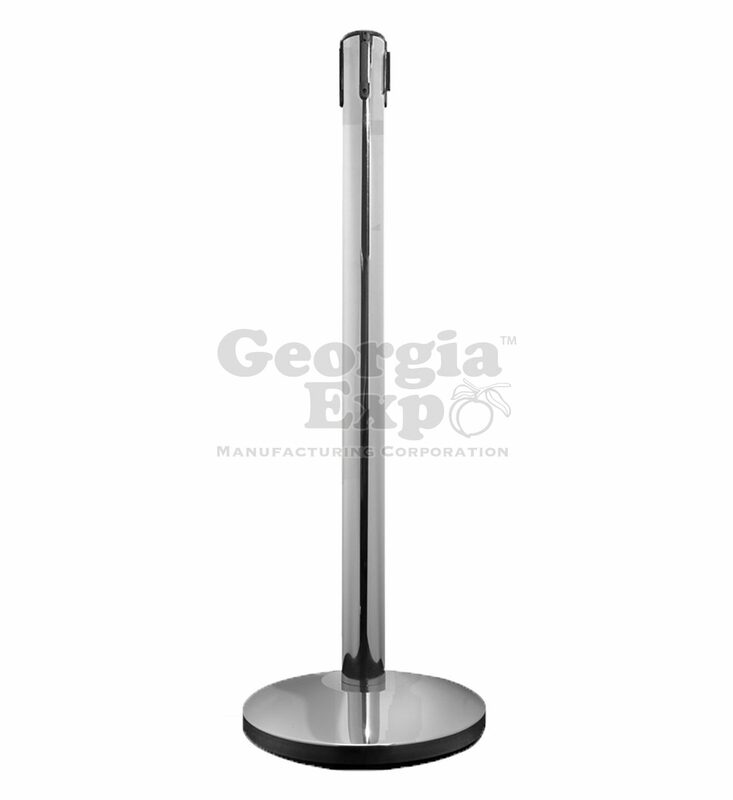 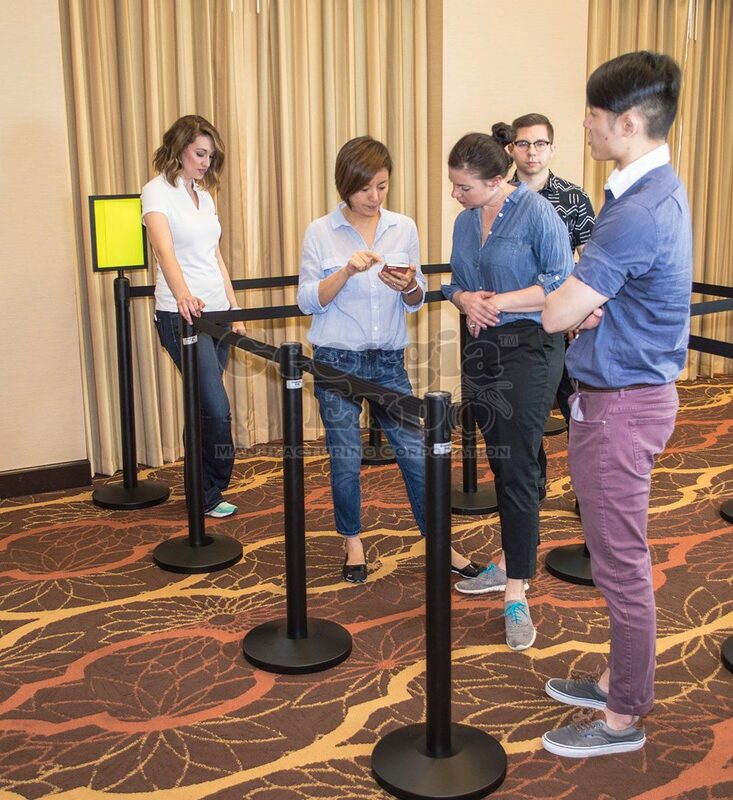 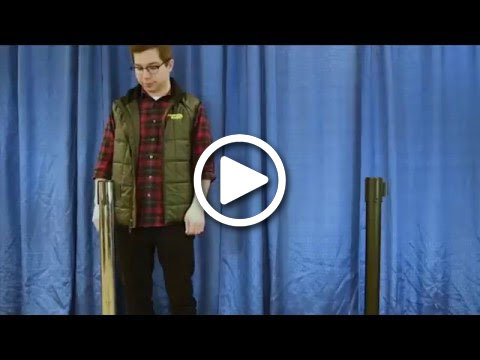 Stanchions are designed to be 6′ apart.There is a floor protector add-on available that keeps the stanchion base from damaging flooring. Stanchion Cart, Vertical Storage 12 Pcs. 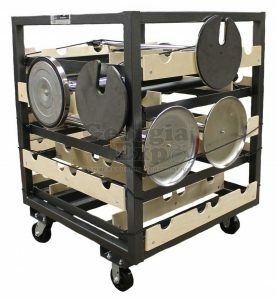 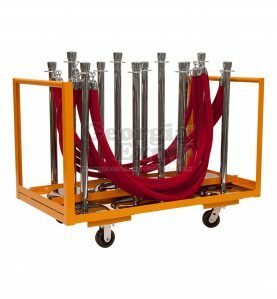 Stanchion Cart, Horizontal Storage 20 Pcs.